Tonight we celebrate the first night of Passover with the Seder and the retelling of the story of the exodus of the Jews from Egypt and slavery (For more info, see Disney’s The Prince of Egypt.) Growing up, all we ever knew were the things we could not have on passover (bread, pasta, etc.) but lately more and more companies are putting out products for passover that I wouldn’t eat during the rest of the year. Feh. This recipe is something that could be eaten year-round. My mother used to make this for us in Poland when I was younger. It’s so delicious, it will make you forget that it’s passover. Almost. 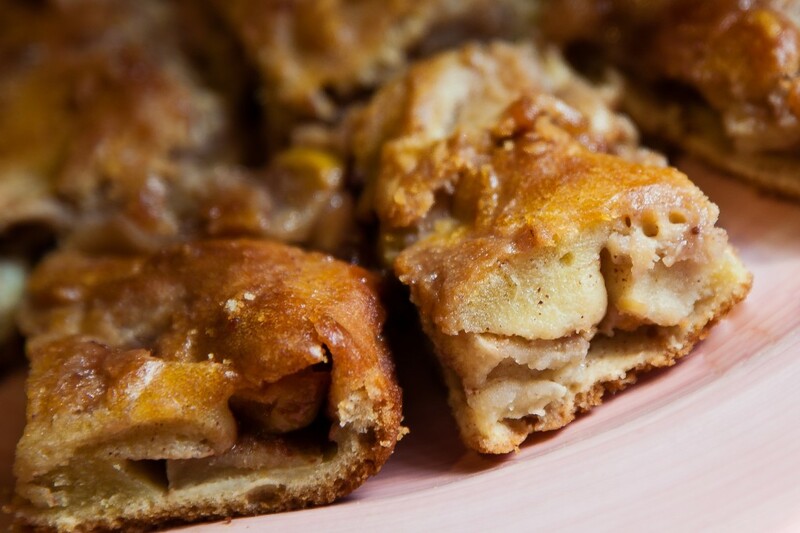 Mix apples with cinnamon sugar and set aside. Mix eggs, oil, juice and sugar until well blended. Add potato starch and cake meal and mix until smooth. Grease 13 X 9 pan with oil, pour in half of the batter, and put apple mixture on top of batter. Drop strawberry preserves by spoonful over apple mixture. Cover with remaining batter. Drizzle some more strawberry preserves over top of cake and using a small spatula, zig zag preserves over the surface of the cake. Bake at 350 degrees for one hour. 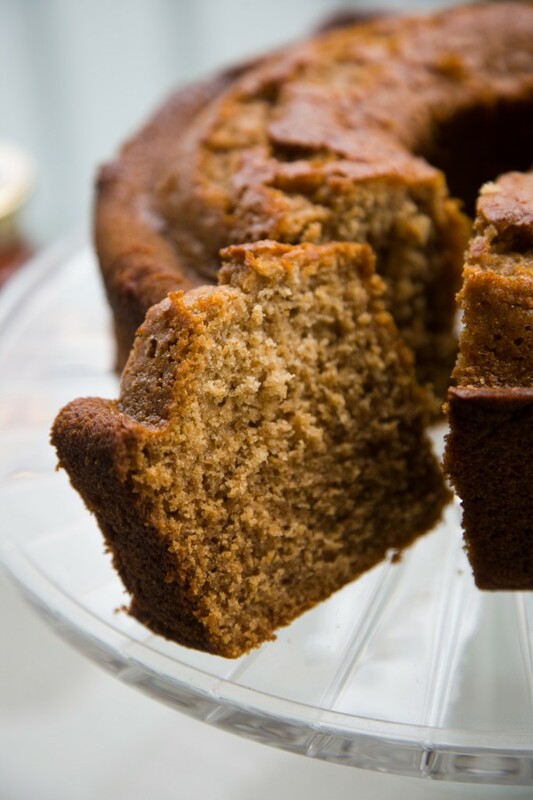 Tonight we celebrate the beginning of the Jewish New Year, 5770, and there is no better way to start off the new year than with a sweet treat like The Bubbe’s Honey Cake. This sweet recipe was handed down from generation to generation from The Bubbe’s homeland of Poland. Share it with friends and family and a sweet New Year will be yours. It is our hope that we should all have a year of health, happiness, and a little prosperity wouldn’t hurt, right? Beat egg whites until stiff and set aside. Beat egg yolks with oil, sugar, coffee, honey, brandy and beat well. Then add dry ingredients until well blended. Fold egg whites into mixture by hand and then pour into greased 10 inch tube pan. Bake at 325 degrees for 65 minutes. Test after 1 hour with cake tester, and, if still wet, bake additional 5 minutes.